Indian Army B.Sc. Nursing 2019: Indian Army conducts the entrance exam every year for the admission to B.Sc. course. This exam can be applied only by the female candidates and those who are interested have to fill up the Application form and submit it before the due date. Those who qualify for the Military Nursing entrance exam 2019 will be able to pursue the B.Sc. course of 4 years. The admission form was released on the official website and candidates have to provide the details in completion. It is mandatory to register themselves first and appear for the entrance test. The admission to B.Sc. course is provided on the basis of the marks secured by the candidate in the exam and the Interview conducted. The authorities have released the result of the B.Sc. Nursing on 25th March 2019 and the selected candidates will have to appear for the Interview round for the final selection. For more of the details go through the article below. New: The Result of Indian Army B.Sc Nursing 2019 is declared on 25th March 2019. The authorities have released the PDF mentioning the marks of the written exam and the list of the candidates selected for the Interview round. Check here Indian Army B.Sc. Nursing Result 2019. The eligibility in order to apply for the B.Sc. course of 4 years has been prescribed by the examination conducting body. Candidates who are found not fulfilling the criteria will not be eligible to proceed with the admission procedure further. It must be noted that the eligibility is an important part and those who will be found not fulfilling the eligibility at the time of the admission will not be eligible to proceed further. Go through the basic eligibility of Military Nursing entrance exam 2019 from the points below. Only the female candidates are eligible to apply for this exam. Female candidate who is Unmarried/divorcee/legally separated or widow without encumbrances is eligible to apply. The candidate must have passed class 12th in one attempt and must have the subjects Physics, Chemistry, Biology (Botany/Zoology) and English and must have secured not less than 50% aggregate marks from a recognized board or University. Candidates appearing for the qualifying exam are also eligible to apply. The candidate should be born between 01st October 1994 and 30th September 2002. The minimum height of the female candidate should not be less than 148 cm. The candidates who are planning on appearing for the exam had to fill up the Application Form and do the registration in order to proceed for the Admission procedure further. The Application form was released on 12th November 2018 and the last date for the submission of the Application Form was 30th November 2018. The procedure for the admission through Military Nursing Entrance Exam 2019 is valid only for the female candidates and it is important that the candidate has provided the correct information in the Application Form. It was advised that before proceeding for the Application Form candidate must go through the details mentioned in the Information Brochure and must make sure that there was no error while submitting the Application Form. Applicants while filling the Application must have checked whether they are fulfilling the eligibility criteria or not. The eligibility in detail is mentioned in the Information Brochure. Those who will be found not abiding with the mentioned eligibility will not be allowed to proceed for the admission procedure further. They will be liable for the cancellation of the candidature at the time of the final admission. The final submission of Military B.Sc. nursing Application Form will only be after the payment of the Application Fee and incomplete Applications will not be accepted by the authorities. The Application Form had to be provided with the Personal Details, Academic details, contact information and uploading of the required documents. The examination conducting body of Indian Army B.Sc. Nursing has prescribed the examination pattern and selection procedure which has to be followed in order to provide the admission to the course. Candidates who will be appearing for the exam must keep themselves updated with the pattern of the examination and the selection procedure to be followed in order to acquire a seat in the course. The entire procedure of the admission to the course will consist of the Written exam. On the basis of the score secured by the candidate in the written exam, candidates will be called for the Interview and the final step will be of the Medical Test. Go through the procedure in detail from below. Candidates on qualifying the written test only will be invited for the interview round. Candidates who will qualify in the written test will be invited for the interview round. The final merit of the candidates for admission shall be decided by the combined marks of Interview and Written test. Based on merit, they shall have to appear for the medical test on passing the written and interview round. Once the interview round is over, meritious candidate shall be invited for the medical test in which they must appear before a Special Medical Board (SMB). Declaration of Candidates as FIT/UNFIT will be informed by the President of the Medical board including the procedure of requesting for APPEAL/ REVIEW MEDICAL BOARD. The Admit Card of Indian Army B.Sc Nursing will be made available on the official website as per on the scheduled date announced by the examination conducting body. Those who have successfully submitted the Application form will be eligible to download the Admit card from the officially released link and the applicants will have to provide the essential credentials in order to download the Admit Card. The availability of military B.Sc. Nursing Admit Card will be on the website and those who are preparing to appear for the exam will have to bring it to the examination centre. It is a mandatory document and its absence will prohibit the candidate from appearing for the exam. 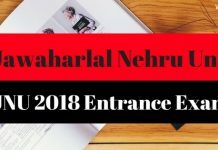 The Admit Card of Military Nursing Entrance Exam 2019 will mention all the details such as the Name of the candidate, Course Name, Application Number, Roll Number, Date and timing of the exam, an allotted centre of the exam and the important instructions to be followed by the candidate on the day of the exam. Candidate must go through the details mentioned on the Admit Card very carefully, in case if any of the detail mentioned on the Admit Card is found to be incorrect, the applicants are advised to contact the examination conducting body immediately. The Result of Indian Army B.Sc. Nursing 2019 is released in an online mode on 25th March 2019 on the official website of the examination conducting body. Candidates who have successfully appeared for the exam will be provided with the Result list available in a PDF format. Candidates who aspire to take admission to 4 years B.Sc course will have to fill up the Application form and appear for military Nursing entrance exam 2019. The direct link will be available on the website, the official date of which is not announced yet. The Result PDF mentions the scores of the candidates who appeared for the exam but it must be noted that the list will mention the names of only those candidates who have been selected to proceed for the admission procedure. If the candidate’s name has been mentioned in the Result list, they will have to appear for the Interview round which will be held at the allotted centre. Those who will qualify the Interview round will have to appear for the Medical exam. The final admission will be provided on the basis of the aggregate score. The detailed information regarding the admission procedure will be mentioned on the Result PDF of Indian Army B.Sc. Military. Next articleIndian Army B.Sc Nursing 2019 Result Released!